Evicted Big Brother Naija housemate, Thin Tall Tony (TTT) has said the reason he did not speak about his family, particularly his children, during his stay in the house was based on the decision he reached with his wife with regards to keeping the family’s matter private during the show. He said this on Tuesday in an interview with Beat FM. Thin Tall Tony said, “Yes, before I went into the house, myself and my wife, we did speak. “We are very private people so we like to keep our private lives private. She’s my backbone and I can’t make any decision without her asking or directing me. 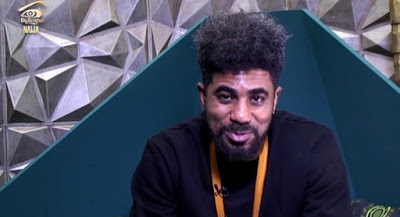 TTT who said he went into the Big brother Naija house with the photograph of his kids, admitted that there were several nights in Biggie’s house that he would look at his children’s image before he slept. He also said he wasn’t emotionally attached to Bisola and that nothing happened between both of them.